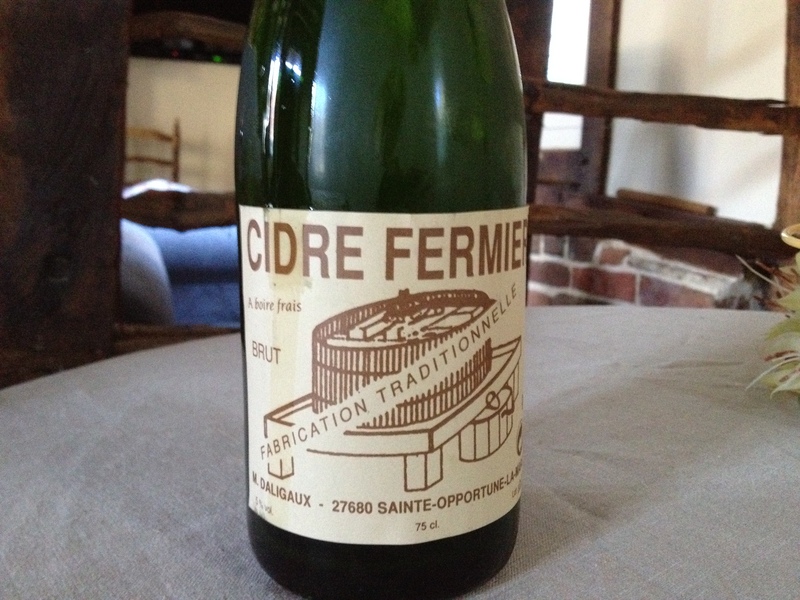 Autumn is all about apples in Normandy and, by association, cider. Normandy is the only region in France that doesn’t produce wine, but it makes up for it with an amazing array of cider and its more potent cousin, calvados. 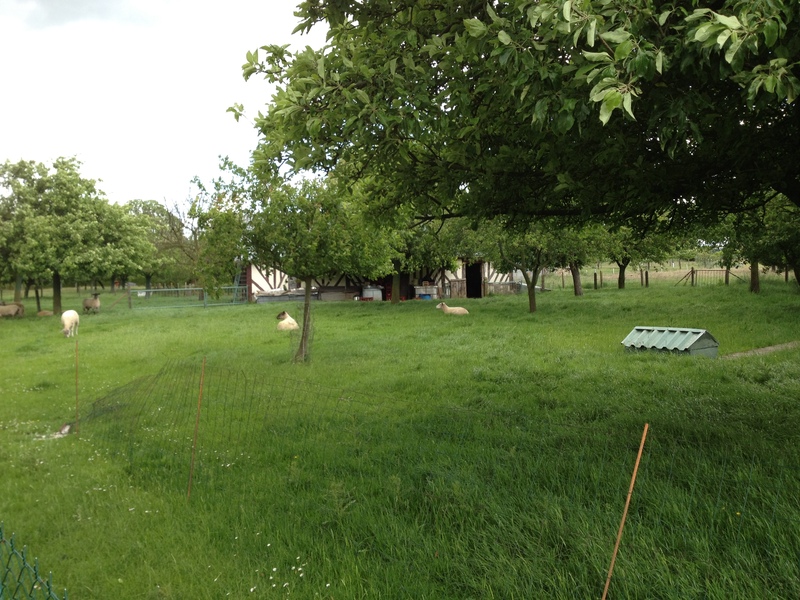 We’ve tried much cider and calvados in Normandy. Everyone with a couple of apple trees seems to have a go at brewing. When we were house hunting in the region, no visit was complete without the owner offering a sample of their very own tipple, and we’ve seen more than a few dinner parties off with a bang by introducing their DIY calvados. The nearest cider maker to Les Iris, signposted on the main road to Sainte-Opportune-La-Mare, is excellent. Like champagne, his cider comes in doux, brut and semi-brut. 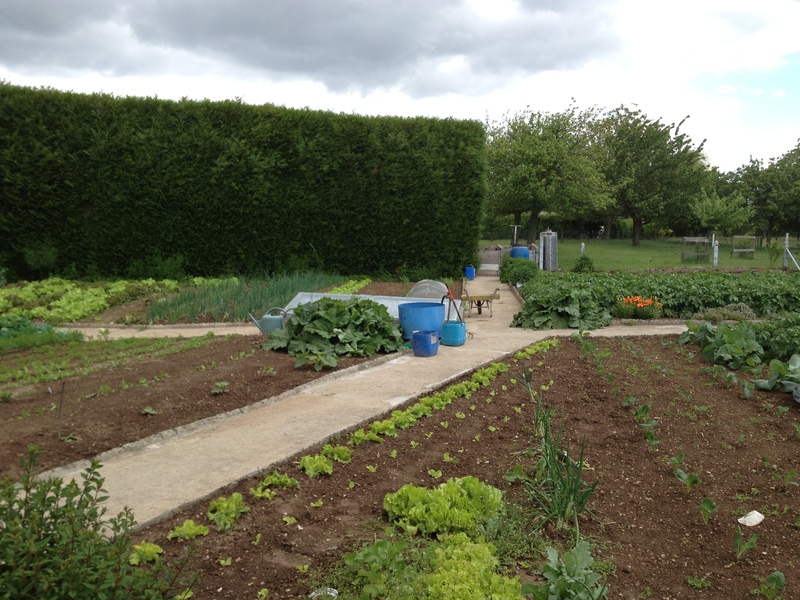 He also maintains a vigorous vegetable garden, and sometimes sells extra produce alongside the cider. He takes the children into the garden, lets them choose their vegetables, and pulls the selected plants out of the ground, shaking off the rich dark earth. It’s the freshest lettuce and rhubarb in the world. In our garden there’s only one very old and gnarled apple tree standing guard by the gate. One of these days it will go: until then, it insists on producing an abundance of large green-red apples that turn brown within seconds of being cut open. 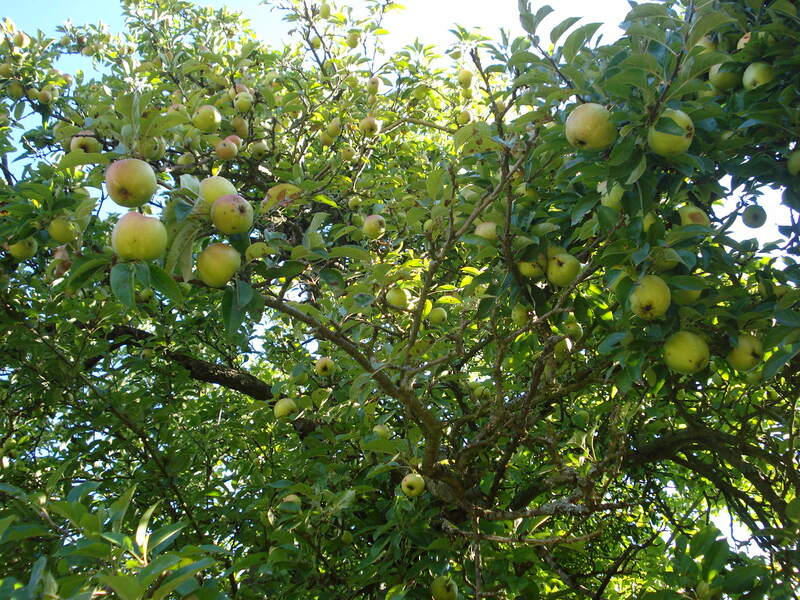 Still, we’re delighted to have a token apple tree, and one of these days we might plant another, of the cooking apple variety.